Ellen Lesperance begins with archival footage of various activist events throughout history. Poring through details of these moving images, Lesperance isolates out the clothing of the activists, identifying objects that seem to relate to the ideological goals of their wearers. 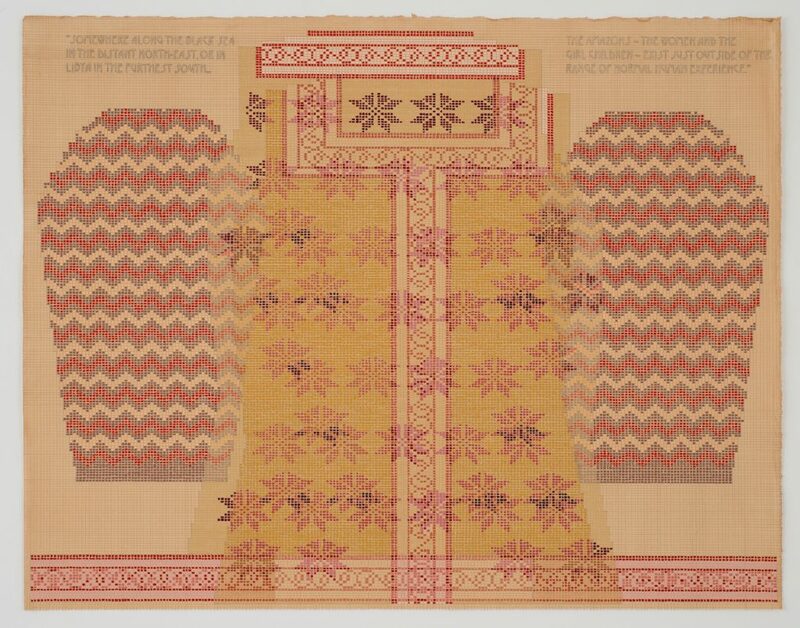 Her ensuing gouche and graphite patterns re-imagine these objects as knitting patterns for the activist’s sweaters, carefully rendered and plotted on tea-stained paper. Memorializing these social protests through the smallest details, Lesperance hopes to cement these moments in our collective memory.